Another mainstay of the commercial cityscape is the Storefront Awning or canopy. 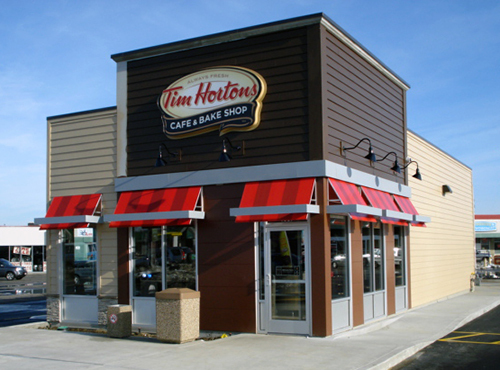 Custom Commercial Awnings are dynamic and beyond their high effectiveness as signage, they also add to a buildings architectural aesthetics. Their three dimensional nature gives them a great visible advantage from many different angles. 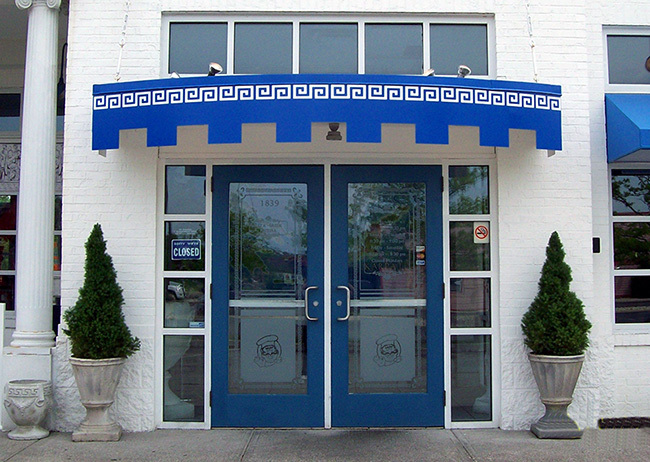 Custom Commercial Awnings for businesses offer a multitude of choices: from size, shape, color and illuminated or non-illuminated, to being functional shelter from the elements or purely a decorative feature. Add the feature of illumination to provide a sense of security for your customers. We call it Weathertyte® and we mean it! Weathertyte® is the product of Cooley’s impressive history as a technological pioneer in flexible sign & awning materials. Weathertyte® is a revolutionary material which has the luxurious look and feel of a textured fabric, with all the weather-resistant properties of a high performance vinyl polymer substrate. It looks and feels like woven fabric without the weakness of one - Waterproof, not just water resistant - Weathertyte® is flame resistant; meets CA fire Marshall, ASTM E 84 NFPA 701, UL48 & UI94 - Digitally printable - Resists sagging better than a woven acrylic - Resist stains, fungus and is easy to clean. 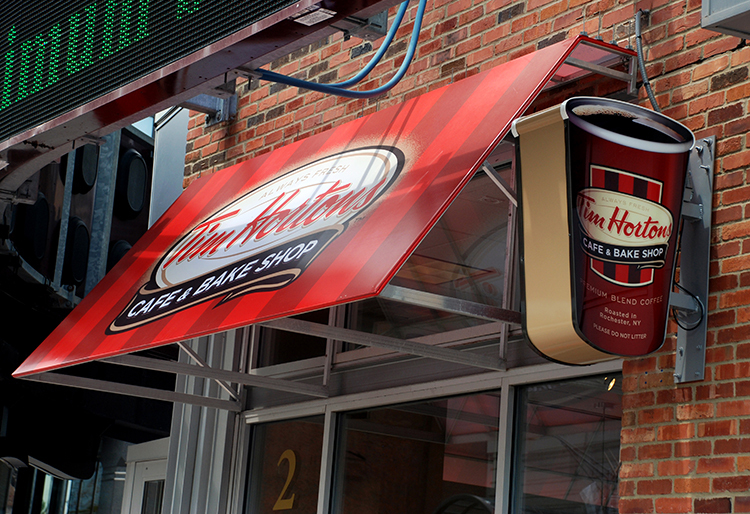 Eradicolor is ideal for backlit awnings & signage with single background colors. Designs and logos may be added through eradication, inlaying additional colors where desired. 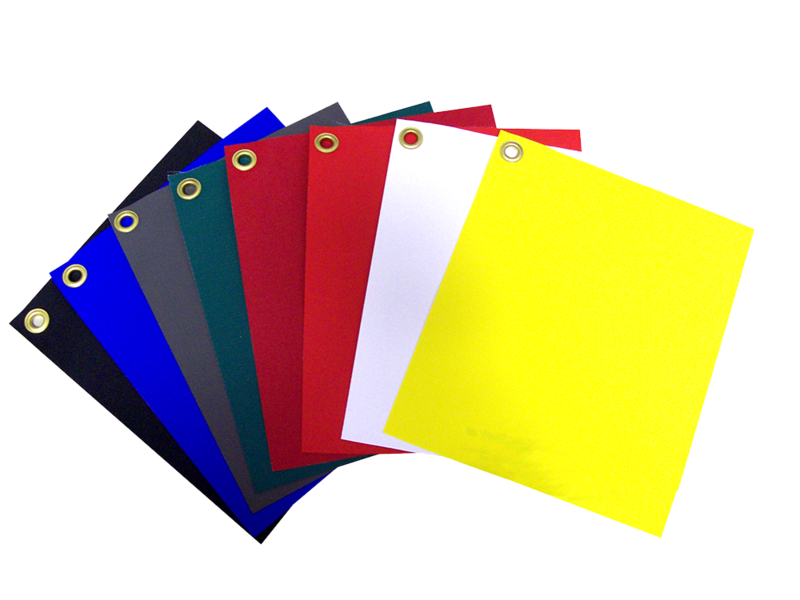 Currently designed for everyday signage, usage is intended where the requirements are for medium-term durability. Available in a range of colors, the awning and sign faces can be decorated with translucent vinyl or digitally printed backlit material. The exposed white background, in area or eradication, stays white as a result of high quality pigments and additives that provide resistance to UV, heat degradation, and microbial protection. The 20’ x 14’ high strength polyester scrim embedded in the cast PVC gives strength for easy tensioning and avoids aging. The special combination of materials has excellent light diffusion properties and increase visibility of the graphic while hiding structural components. Eradication is a process where Translucent eradicable vinyl fabrics are used and the graphics are created by chemically eradicating the color surface using a computer-cut stencil mask to reveal the white substrate. Custom awning & canopy colors are shown in the image. Click to see a larger view. Seemee Backlit Standard is a classic backlit substrate compatible with all solvent-base digital printers. The universal topcoat and 20% translucency makes it ideal for backlit signs, banners & billboards. The high-quality finish is formulated to assure you of consistent image quality with optimal color reproduction. Sunbrella is 100% solution-dyed acrylic fabric. Sunbrella withstands sun, wind & rain while remaining beautiful for years. The secret to their long lasting color is found in the solution-dying process which locks colors into the acrylic fibers so they can’t wash out or fade. The fact is, Sunbrella is so durable, that they back it with an incredible 5-year limited warranty. So don’t accept an imitation outdoor fabric. This product comes in many solid colors along with many stripe combinations. 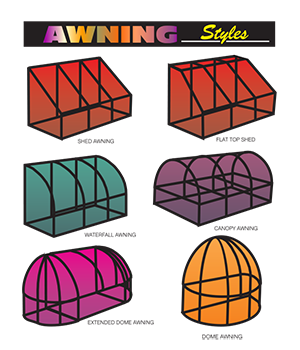 In the image on the right you'll see the different types of Awning styles available for your custom commercial awning. Our sales people are skilled at helping you choose a style that will compliment your existing architectural elements. 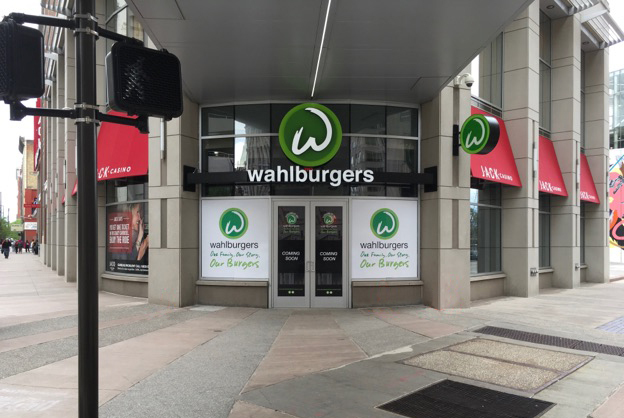 If you've been thinking about adding a business awning and don't know if your zoning will allow it, we've got you covered. Want to see what it would look like on your retail store? We can do that too. 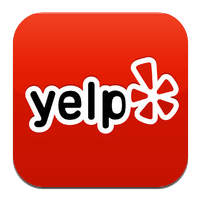 With over 49 years of experience in the sign industry, and being the leader in innovative techniques and technology, this is the place to get all the help you need.